Ventilation holes, molded insoles, abrasion resistant outsoles – sound boring? It shouldn’t, because those seemingly prosaic characteristics divide the imposters from the authentic. 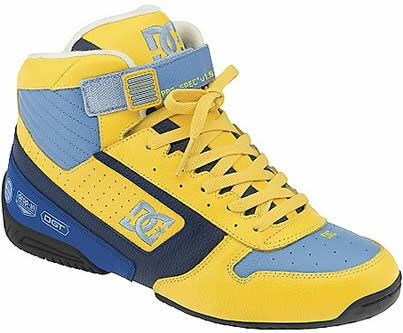 That’s the philosophy of DC Shoes. 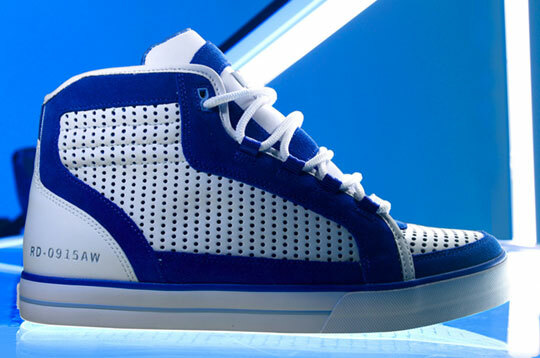 Here are some highlights from their 2010 spring and summer lines of men’s and women’s footwear. A stylistic token to the original skating pioneers, men’s Purist shoes are constructed from soft, snug action leather, replete with extra foam, designed for all-weather skating and daily use. Ventilation holes add extra comfort. 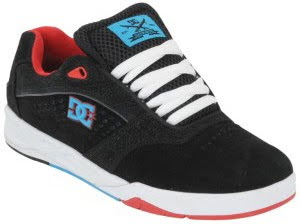 Reinforced tongue holders eliminate constant annoyance and readjustment, while DC Shoe’s patented Dynamic Grip Technology (DGT) gives a skater a superior sense of control and balance when skating. 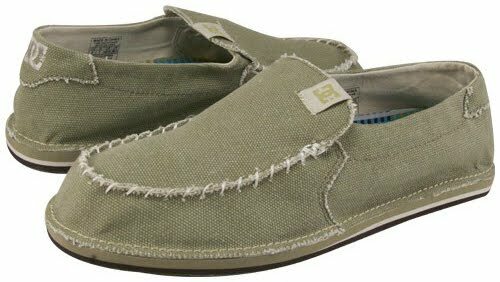 Almost as comfortable as grandma’s slippers, men’s Accent shoes lightly slip on at a moment’s notice. The molded insoles and durable textile uppers may give the visage of a long-on-luxury, short-on-performance shoe, but the sticky reinforced rubber outsoles and durable sole construction belies any sentiments of fragility. 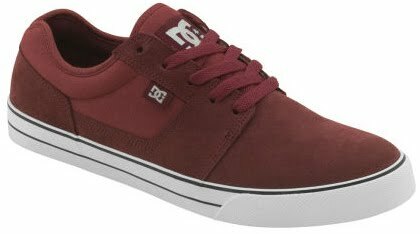 One of DC Shoes’ most popular lines, men’s Tonik shoes – constructed from suede, canvas or textile uppers – feature a ventilation system and low ankle design for shoe flexibility. Styling is retro and simple. Nearly as tough as their namesakes, men’s high-ankle Spartan shoes are made from action leather or action nubuck. Highlights include a rubber toe wrap and cupsole for superior protection. 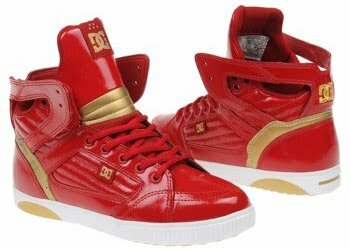 These shoes are unapologetically skater. The pliant, durable men’s Pro Spec 2.0 shoes exhibit a leather belt strap, heel protection gel, loop fastener, ankle strap and DGT technology for an unparalleled skating experience and revolutionary styling. Men’s Pro Spec 1.0, cousins of men’s Pro Spec 2.0, are fashioned from full-grain premium leather, with a removable midsole, cablestiched DGT rubber bottom, fire-resistant lining, heel gel protection and padded tongue and ankle. Want the acme of skating shoes? Shop no longer. 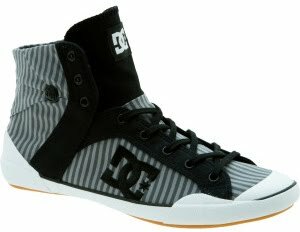 Some new arrivals, the RD1 Mid and RD 1.5, join DC Shoe’s perennial favorite seller, men’s Rob Dyrdek footwear. The RD1 Mid adds perforated leather and custom lining to the previous line’s stellar features, which include protective lace loops and a virtually indestructible rubber sole. Other men’s shoes include heavy-duty Flawless footwear, brimming with extra foam padding; the soft suede, vulcanized Circus of Mutants Collaboration collection; the technique-oriented, mega-suede Tribute S shoes; and the flashy, trend-setting Admiral Sport lineup. DC Shoes released the rebellious women’s Galactica shoe, a high-ankle action leather shoe abounding with sturdy features, including metal eyelets, a wrap cupsole and DGT technology. These shoes are intended for day-in, day-out skating and a girl with a no-nonsense, sassy demeanor. The women’s Chelsea Zero line of shoes sports several popular options. Chelsea Zero Low SE shoes, a fashion throwback, are made from textile uppers and feature a vulcanized construction, ventilation system and rubber toe caps. Chelsea Zero High SE shoes add metal eyelets and a higher ankle design. 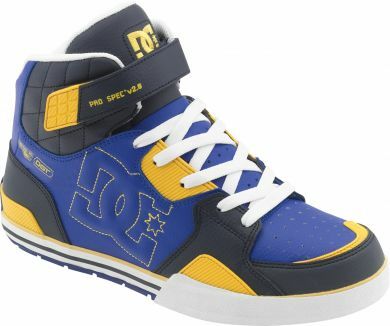 Other releases include Venice Mid shoes and the bestselling, comfy Net SE shoes. But it’s not really about the ventilation systems and outsoles. It’s about skating. 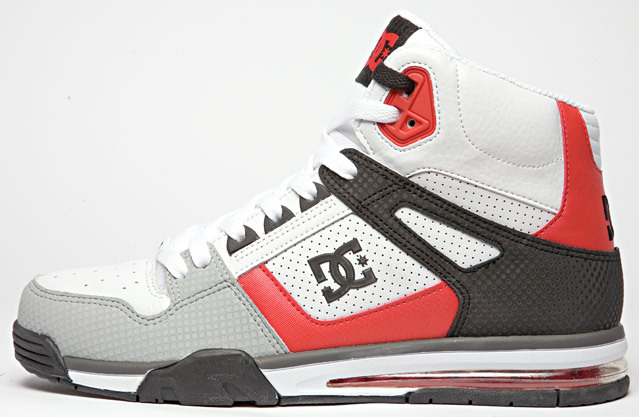 So go do it – DC Shoes style. For more information, log on (http://www.underworld-shop.com/).